From the first Gershwinian piano chords, we know we're in for a roaring good time in this jazzy 1920's tale. 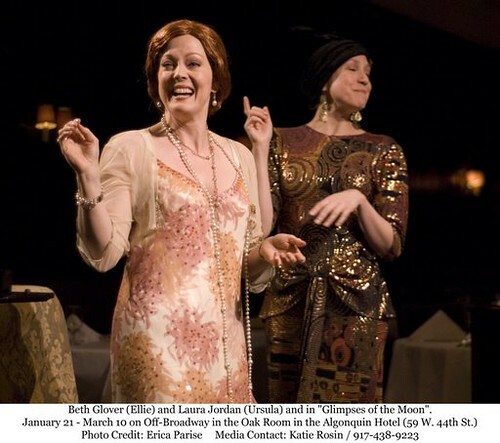 Glimpses of the Moon is a new but charmingly old-fashioned "jazz age musical." 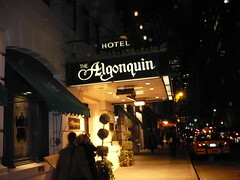 Based on a novel by Edith Wharton, it was written specifically for the Algonquin Hotel's famous Oak Room. As soon as we hear composer John Mercurio's first, Gershiwinian piano chords and see Lisa Zinni's authentic-looking costumes, we settle comfortably into the 1920s, and the bright-eyed cast and almost Wodehouse-like plot do nothing to dispel the spell. A musical comedy of manners, Glimpses tells a jaunty little story that's very specific to its time. In the Roaring Twenties, divorce was newly acceptable. almost fashionable, and women in particular were beginning to wriggle out of some of the chains of social convention. Susy Branch (Xanadu's Patti Murin) and the perfectly named Nick Lansing (Stephen Plunkett, with Michael Minarek taking over on Feb. 19) are moneyless social climbers who've attached themselves rather precariously to high society. Their scheme, to marry for convenience and live off their pricey wedding gifts until they can find wealthy "real" spouses, intersects with the lives of their high-living friends, who include Streffy, a British fop with little money but a handy property in Maine, and Ellie and Nelson Vanderlyn, a rich older couple with a New York City brownstone and a Newport mansion. Director Marc Bruni uses the small central space and the room's shape cleverly, keeping the action tightly controlled and more or less intelligible, though those seated at the far ends of the room may have missed some of the lyrics during the faster sections. In general the actors' unamplified voices carried Tajlei Levis's witty lyrics loudly enough, which is important, for they are sharp and precise, with occasionally Cowardly turns of phrase. Ms. Murin is sweetly disarming as Susy. Her Disney-perfect voice contrasts nicely with the knowing alto of Beth Glover, who steals many scenes as the riper Ellie. Ellie's social independence takes a hard-hearted form, but she gets the funniest lines, particularly in the hilarious number "Letters to Nelson." For his part, the clueless Nelson (Daren Kelly) makes much of the show's one ultimately sad development, in "Tell Her I'm Happy." Mr. Plunkett, as Nick, is suitably unprepossessing, but it is the scholarly young swain's celebration of the Vanderlyns' Newport manse as the perfect place to get started writing his novel that sets the story's moral conflict in motion. Act II opens with a comical boating accident that suddenly makes the dandyish Streffy into the Earl he's always pined to be, giving Mr. Peters, who plays him with an intense, absurd, and very funny grace, the opportunity to bring down the house with "Terrible News." A shopping scene in B. Altman's has Ellie make the ambitious but stuffy Coral over into a more glamorous creature, the better to make off with Nick. I suspect you're beginning to get the picture. Mr. Mercurio interprets his own music on the piano. 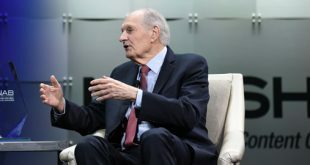 He has collaborated before with Ms. Levis, and the partnership results in songs that trip lightly through the ears – and, to some degree, the eras. The chords and rhythms evoke jazz age music, but big sustained vocal blasts at climactic moments suggest modern-day, corporate Broadway. Though designed for this limited space, the show could certainly do well in a bigger setting. 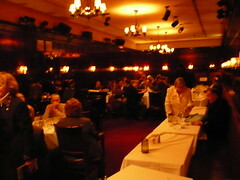 But the elegant, dark-paneled Oak Room suits the show's jazz age finery just fine. Through March 10, Mondays only. For tickets, visit the show's website or call (212) 419-9331.